Let’s face it; WordPress has become massively popular, and it is largely due to the fact that it is quite simply one of the best platforms available. Nonetheless, even with the countless free plugins, designing an “awesome” looking WordPress site is still immensely challenging for people who don’t posses any coding skills. Several website developers have scrambled to make life easier by creating user friendly child themes for the industry standard Genesis Framework. Many of these themes allow owners of WordPress sites to design a highly refined site even without knowing anything about code. As you may well already know, the Genesis Framework lies at the very heart of high quality WordPress sites, and the Genesis Framework was created by StudioPress. Okay, so why am I even mentioning this? I’m mentioning it because StudioPress also produce themes of their own, and since the Genesis Framework powers most WordPress sites, it seems quite logical to expect StudioPress themes to work seamlessly on nearly all WordPress sites. There are many StudioPress themes available, and I have personally used several of them. To date, I have never encountered any sort of problems. My only gripe is that buying individual themes can become quiet costly if you own or manage multiple sites. However, it is possible to avoid this if you go for the StudioPress Pro-Plus All Theme package. I have purchased the All Themes package and I bless StudioPress all the time for allowing me access to unlimited child themes created by them using the Genesis Framework now as well as in the future. Like nearly all WordPress child themes, those developed by StudioPress have been designed to put full control of your website where it belongs; firmly in your hands. Even a complete beginner can design an amazing looking WordPress blog without typing a single line of code. Let’s quickly compare the WordPress; Genesis and StudioPress trio to a car. In this case, WordPress would be the engine; Genesis would be the frame and body of the car, and StudioPress would be the paintwork and all the trimmings. Wouldn’t it be great if you could give your car a complete makeover with just a few mouse clicks? With StudioPress child themes, that is exactly what you can do with your WordPress sites. Themes quite literally give you complete control over virtually every aspect of your site. Change color schemes; change fonts; position your headers; footers and sidebars, all with just a few mouse clicks. And, you can be sure that there will be a StudioPress child theme for almost any niche that you might want a WordPress site for. In my opinion, you cannot have a truly good WordPress site without having a really good theme, and obviously if you have several WordPress sites, you are going to need several themes, particularly if you design and/or manage WordPress sites for other people. 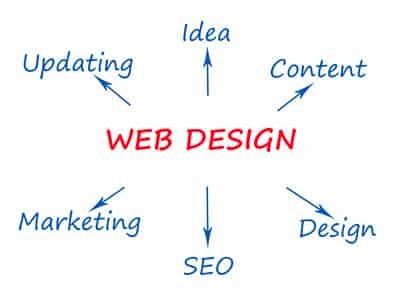 After all, every website is different and every website owner wants their site or sites to look unique. The StudioPress Pro-Plus All Themes Package allows you to use all the currently available StudioPress themes, as well as any themes developed in the future. The package also entitles you to lifelong customer support. As it stands now, if you were to use all of the currently available StudioPress themes, purchasing the “All Themes” package would save you just under $1,000. Added to the huge saving, is the convenience of being able to pick up all your child themes from a single vendor, and knowing that all your Genesis powered themes have been created by the makers of Genesis. Massive selection – Once you have purchased the Pro-Plus All Themes Package, you have full access to all StudioPress themes, including any and all themes the company will release in the future. Huge savings – At the time of writing, you can save nearly $1,000 by choosing the All Themes package, and this amount will obviously increase with each new theme released. One off payment – Unlike many of their competitors, StudioPress don’t charge their customers any sort of yearly renewal fees or yearly membership fees. Once you buy a theme or a package from them, it is yours for life. You also get all updates for both Genesis framework as well as StudioPress Child themes free for life. Quality and dependability – Encountering technical problems with StudioPress themes is virtually unheard of. Incredible value for money – As has already been stated, if you own or manage several websites you could end up saving yourself nearly one thousand dollars. If you actually design and set up WordPress sites for other people then you will almost certainly end up saving even more than this. Additionally, once you have purchased the All Themes Package, you have access for life. Customer support – StudioPress provides an excellent level of customer support. Also, your customer support privileges begin from the moment you place your order, and access never expires. In other words, Customer Support is provided on a lifetime basis. Unrivalled variety – Nowhere else will you find such a diverse variety of themes, catering to several niches, available in a single location. Again, having this much variety at your fingertips can be immensely useful, and even more so if you work with a lot of different websites or if you design WordPress sites for your clients. No matter what niche you need to target, you’ll almost certainly find the perfect theme in your All Themes Package. Robust and dependable – StudioPress products are notoriously robust and dependable. If they were not, the Genesis Framework would never have become the industry standard. Nobody is better equipped than StudioPress to create themes for the Genesis Framwork. After all, they made Genesis. SEO friendly – StudioPress themes are renowned for being very SEO friendly. In fact, usability and practicality are two of the company’s top priorities, rather than focusing only on cosmetics. Cost – At just under $400, the Pro-Plus All Themes Package is considered to be too costly by many individuals who only own or manage a small number of low income sites. A bit “bare-bones” – During the many hours of research I have done, I have come across a few comments about the lack of certain features which are offered by some other theme developers. However, it should be noted that StudioPress has intentionally chosen not to bundle certain features into their themes. These are typically features which are not often used by the majority of their customers, and practically most, if not all of them, can be downloaded and used as plugins if you really do need them. Theme graphics – If you have exceptionally high expectations with regards to theme graphics, you can almost certainly find better graphics elsewhere. However, I personally have no complaints about StudioPress theme graphics. To the contrary, I value the fact that StudioPress refuses to sacrifice coding quality for the sake of marginally better graphics. Lack of traditional Customer Support – Unlike some of their competitors, StudioPress do not offer the sort of customer support many people have become accustomed to. There is no Live Chat helpdesk and no email support either. Instead, customer support is provided via the StudioPress Forum. You post your question or your problem on the forum. Your problem will then be addressed either by Support staff, or by other forum members. It is worthwhile noting that StudioPress has built up a massive community, and I have always found a fellow member to be very willing to help. Based on my own experiences, help typically arrives a lot quicker than it does on sites that offer email support. At the time of me writing this review, StudioPress Pro-Plus All Themes Package was available for $399.95 but this price is of course subject to change. Special discounts or promotions may also be available under certain circumstances. The Pro-Plus All Themes Package is available globally, and while customer support isn’t officially offered in other languages, it is quite often available. The reason for this being that the StudioPress Forum serves as a customer support base, and because there are so many forum members from all around the world, you can usually find someone who is able to offer help and assistance in your own language. Once you have paid and registered, head over to the forum section and take a good look around. You will be amazed at just how much information there is, and if you post any questions, hang in there because your questions will probably be answered within minutes. Keep in mind that some of the themes which are available on the StudioPress website are third party themes, and as such, they are not included in the All Theme Package. If you really must have one or more of those, you will have to purchase them individually.